Heather is the Client Services Coordinator for Commonwealth Financial Services. 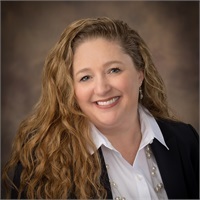 She is a graduate of Bradford Business School in Columbus, Ohio and has been with our firm since March 2013, bringing to us an extensive background in administrative, payroll & accounting. Heather is a key connection between clients and our firm, with her focus on getting to know our clients personally and guiding us on managing their needs. She answers client phone calls and fields questions, coordinates the advisors’ calendars, appointments and correspondence, with her goal being outstanding experiences for the client. Heather organizes client events such as our shredding parties and the Annual Client Appreciation Event. She and her husband Larry reside in Belpre, Ohio with their four children and their dog Maddox. Heather enjoys spending her time with family and friends and watching Ohio State & Pittsburgh Steelers football.